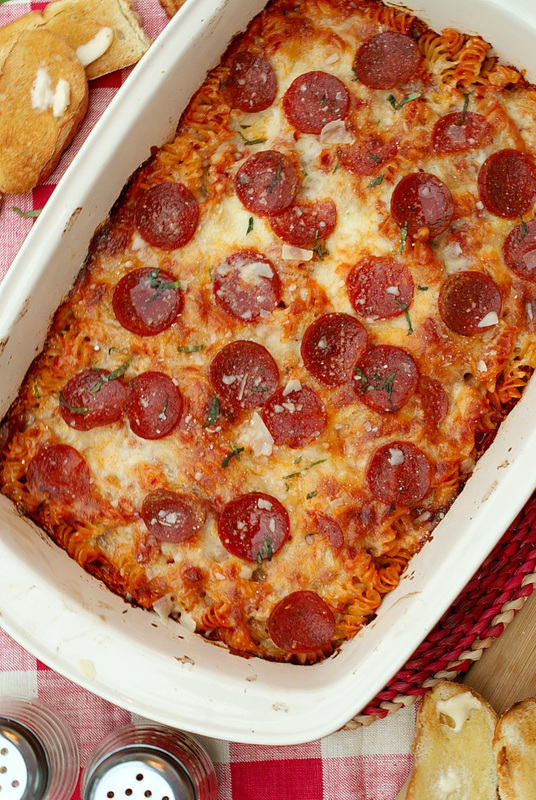 This extra cheesy Pepperoni Pizza Pasta Bake is made with a quick homemade sauce and loads of pepperoni. 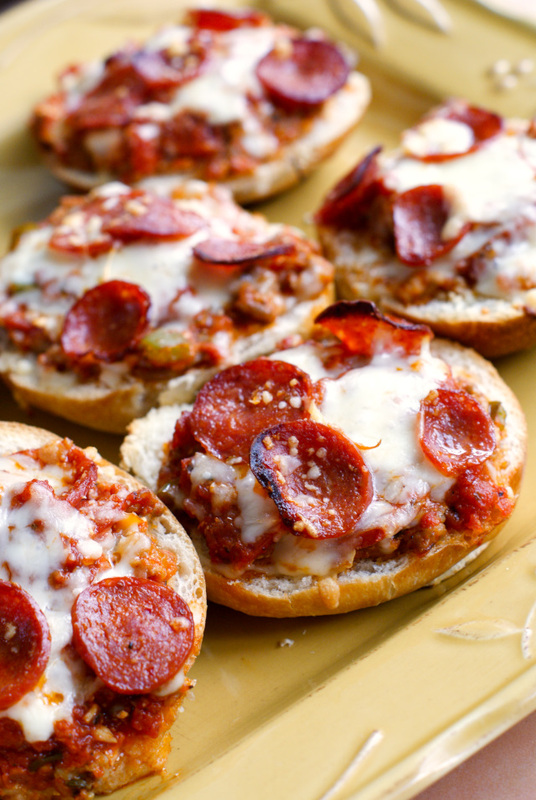 You can add all of your favorite pizza toppings to make it your own! There are about a million and two ways to dress up your basic pasta bake. You can all kinds of meats or veggies, but the basic ingredients usually stay the same: your pasta or choice, red or white sauce, and lots of shredded cheese. I like to make creative variations on simple pasta casseroles using up whatever I've got hanging around in the fridge. This time I decided to go the pizza route! We are big pizza fans around here and I love to bring those flavors to all kinds of recipes like sandwiches, breads, and dips. Pizza flavors go with almost anything if you ask me. This easy casserole celebrates the classic pepperoni pizza and is loaded with oodles of shredded mozzarella and parmesan, a quick homemade tomato sauce, and sliced pepperoni in every bite. The sauce can be substituted with your favorite jarred sauce, but I like to give a homemade touch to my recipes when I have the time. 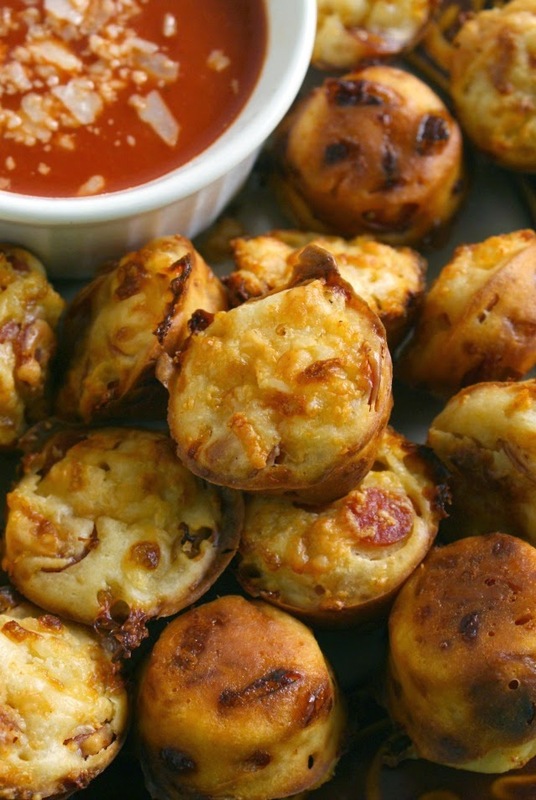 This easy sauce takes just ten minutes to make and is so worth it! If you love pizza and pasta as much as we do, you'll love this super customizable, easy to make pizza pasta bake! Cook the rotini according to the package directions. Meanwhile, in a medium saucepan over medium-high heat, melt the butter. Cook the onions in the butter for 8-10 minutes, stirring frequently until golden. Add the oregano, salt, and garlic to the onions and cook for 1 minute, stirring often. Add the crushed tomatoes and sugar to the onions and bring to a boil. Reduce heat to medium-low and simmer for 10 minutes. Stir in the olive oil and basil. Mix 1 cup of sauce into the cooked rotini. Add half of the rotini to the baking dish and top with half of the remaining sauce and half of the shredded mozzarella cheese. Cut half of the sliced pepperoni into quarters and layer over the cheese. Add the remaining rotini to the dish, followed by the remaining sauce, shredded cheese, and parmesan cheese. Finish with the remaining sliced pepperoni. Bake in the preheated oven for 25-30 minutes. Let sit 5 minutes before serving. 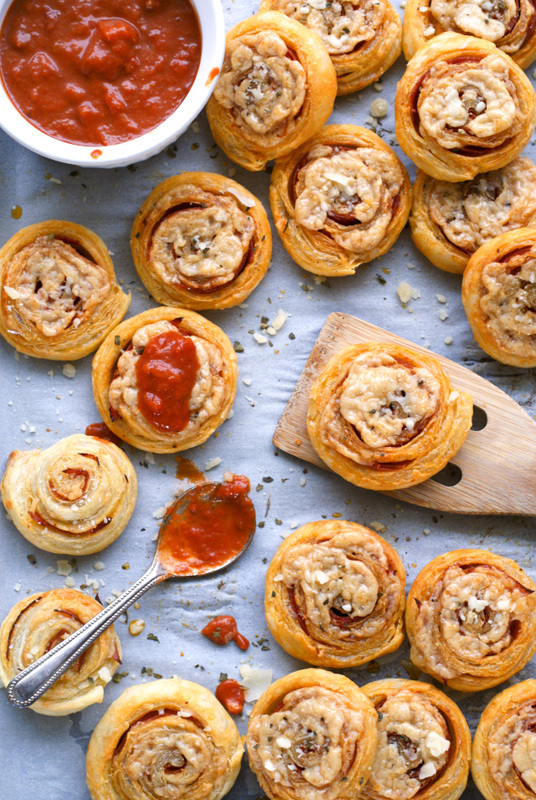 Top with additional pizza toppings that you love before baking.